There are several different types of job interviews you might encounter when searching for that perfect job. This is the traditional job interview format. You meet with the employer at his or her office and discuss the job, your skills that relevant to the job and other qualifications. There are two types of group interviews. The first type is when a panel or board at the company interview you at the same time. Each person will ask you a question about your skills and qualifications for the position offered. 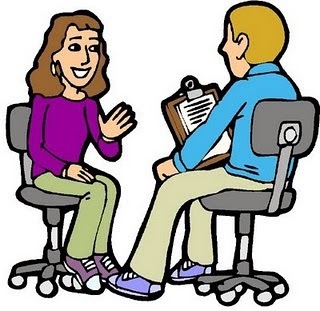 The second type of group interview is when a group of job candidates meet together with the employer. This type of interview is usually done in sales type jobs. The employer or recruiter will explain the job and give you information about salary, bonuses and benefits. There is a follow-up one-on-one interview with each job candidate to assess each person’s skills. This type of interview involves the job candidate being interviewed by several different people within the company but not at the same time. The first interview is usually with a job applicant screener who makes sure you have the skills necessary for the job, then to a middle manager or supervisor and eventually to the top manager who makes the final decision. It’s very important to remain consistent from one interview to the next. All of the interviewers will get together to compare notes on you and give their opinion on whether or not you are the most qualified for the job. This interview is done to make sure that you are indeed the best person for the job. The job is almost yours at this point. You’ll want to ask more questions about the company and give some additional information about yourself and how you can make a positive impact on the company once hired. 0 Komentar untuk "Different Types of Job Interviews You Should Know"